When Mr Pike, the bureaucratic heart of the Dark Days Club, arrives in Brighton, no one is prepared for the ordinary evil he brings in his wake. He has a grudge against Lord Carlston and a secret mission for Helen. She has no choice but to do as he orders, knowing that the dangerous task will betray everyone around her - and possibly bring about Lord Carlston's annihilation. 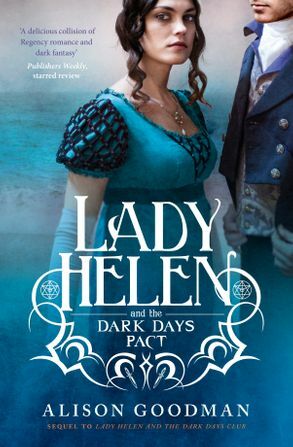 This second novel in the thrilling Lady Helen series won the Aurealis Award for Best Young Adult Novel!